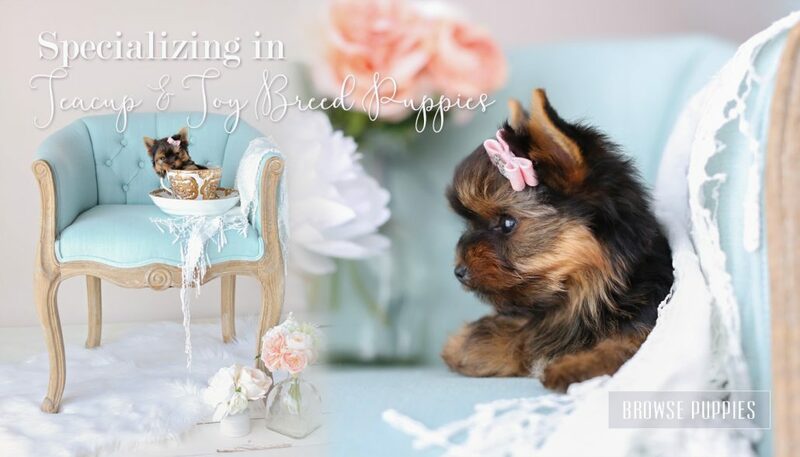 For the love of a Yorkie: Everyone Loves a Yorkie……. Everyone loves a Yorkie, they are cute, cuddly and the perfect best friend! Did you know that Yorkies only have one layer of hair just like we do? Yes it’s true that’s why they don’t shed! The Yorkie breed has been around since the 1800s, that’s 200 years! 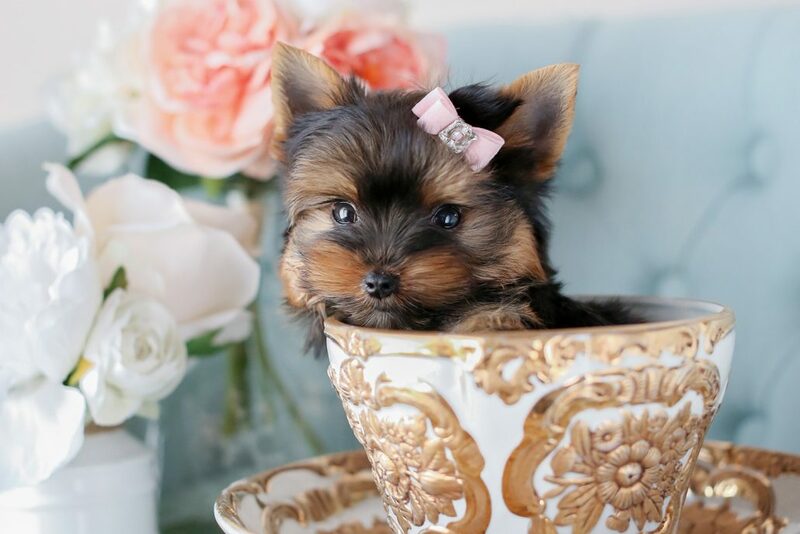 Here at Teacups, puppies, & Boutique we love Yorkies and take care of and nurture them daily with a full staff vet tech and Veterinarians that come in weekly. We make sure every puppy is healthy before they leave our hearts to enjoy their new home with their new families. We treat every puppy as if they were our very own and we do feel sad with happy tears when they find a forever home. We have worked with our breeders for over 15 years giving only the best nurturing care they can give to make sure each and every puppy matures to a healthy age before we welcome them into Teacups, Puppies, & Boutique to find their forever homes. 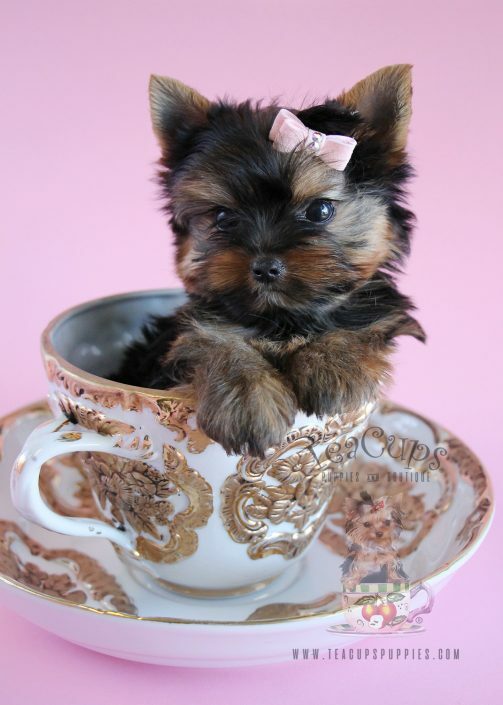 We have Yorkies (and other breeds) available in 3 sizes: Teacup (Under 4lbs), Borderline Teacup (4-5lbs). and Toy (6-8lbs). We have a special order program where we find the puppy you are looking for size, breed, and color. Please visit us to see the puppies and fall in love with a yorkie and your new best friend. We look forward to meeting you and we hope to see you soon. A RARE MICRO-TEACUP CHOCOLATE POODLE MADE IT OUR WAY! Special Order: Extraordinarily Rare Micro Teacup Chocolate poodle made it to Teacups Puppies, and Boutique stealing the hearts of everyone! 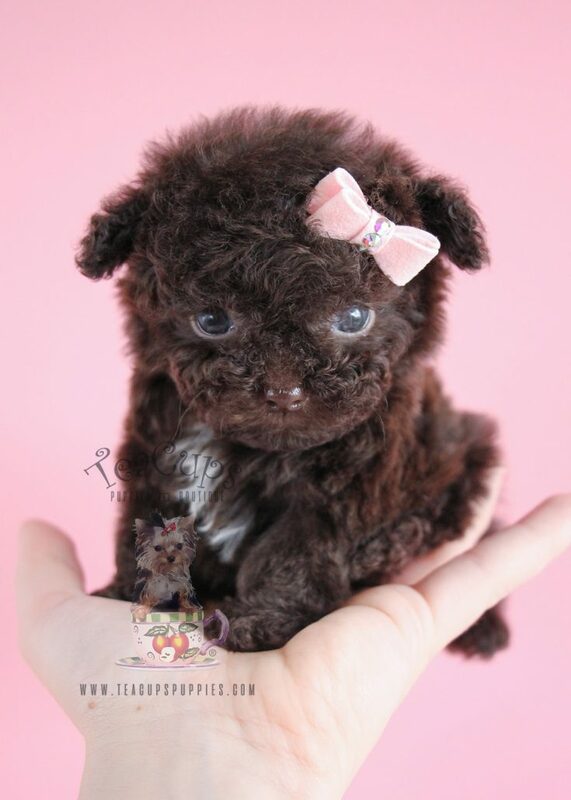 Adorable cuteness that fits in the palm of your hand, covered in curls and joy with those big innocent eyes, this rare micro teacup Chocolate poodle is a prize.